3. An Admonition to ‘Be strong in the Lord. The strength of an earthly general lies in his troops – he flies upon their wings. If their feathers get clipped or their necks broken, he is helpless. *But in the army of Christ’s followers, the strength of the whole host lies in the Lord of host. 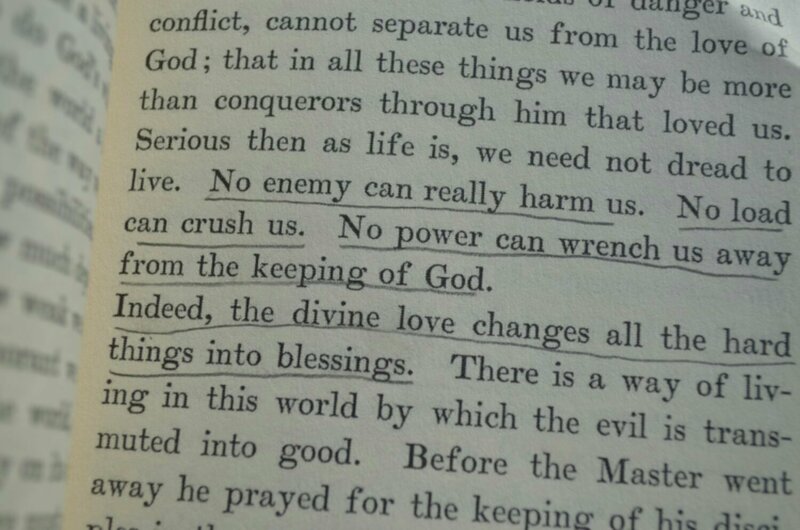 God can overcome His enemies without help from anyone, but His followers cannot so much as defend the smallest outpost without His strong arm. One of God’s names is ‘Strength of Israel’ (1 Sam. 15:29). He was the strength of Davids heart. With Him, this shepherd boy could defy the giant who defied a whole army; without God’s strength, David trembled at a word or two dropped from the Philistines mouth. 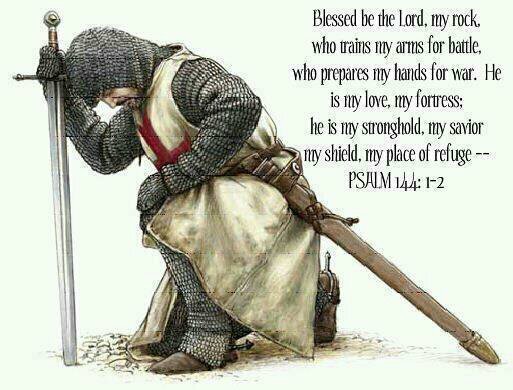 He wrote, ‘Blessed be the Lord my strength, which teacheth my hands to war, and my fingers to fight‘ (Ps. 144:1). The Lord is likewise your strength in your war against sin and Satan. Some wonder whether a sin is ever committed without Satan having a part. But if the question were whether any holy action is ever performed without involving special assistance of God, that is settled: ‘Without Me ye can do nothing’ (John 15:5). Paul put it this way: ‘Not that we are sufficient of ourselves to think anything as of ourselves; but our sufficiency is of God’ (2 Cor. 3:5). We who follow have a reservoir of grace, yet it lies like water at the bottom of a well and will not ascend with all our pumping. First God must prime it with His awakening grace. Then it will gush forth. *Paul says, ‘ To will is present with me; but how to perform that which is good I find not’ (Rom.7:18). ‘it is God which worketh in you both to will and do of His good pleasure’ (Phil. 2:14). God is at the bottom of the ladder, and at the top also, the Author and Finisher, assisting the soul at every rung in its ascent to any holy action. And once we have begun a work, how long will we stick to it? Only as long as we are held up by the same hand that empowered us at first. We quickly deplete the strength He gives us. So to maintain the permanence of a Holy course, we must have a renewing strength from heaven every moment. Even in acts of worship our strength is in the Lord. Consider prayer. Would we pray? Where will we find topics for our prayers? Alas, ‘ We know not what we should pray for as we ought’ (Rom.8:26). *Let us alone, and we will soon pray ourselves into some temptation or other, and beg for the very thing God knows we should not have. To protect us, then, God puts words in our mouths. (Hos. 14:2). But without some heart-heating affections to thaw the tap, the words will freeze on our lips. We may search in vain the corridors of our own hearts and the drafty corners of our souls. We will not find a spark upon our own hearth, unless it is some strange fire of natural desires, which will not do. No, the fire that thaws the iciness of the heart must come from heaven – a gift from God, who is ‘a consuming fire’ (Heb.12:29). First the Spirit stretches Himself upon the soul, as the prophet on the child; then the soul will begin to kindle and put forth some heavenly heat in its affections. At last the Spirit melts the heart, and prayer flows from the lips of the believer as naturally as tears from the eyes. And though the child of God is the speaker, the Author of the prayer is God. So we see that both the strength to pray and the prayer itself are from God. – to be continued. ..
♡ How often would you, in honest reflection, say you are actually aware that God is the ONLY One who gets the credit for ANY good, anything that can be named as worthy; either coming from you or coming to you? ♡ If you truly believe this. Then is there any encounter, any activity, any thought, any thing at all; that you can say you must not be lax in saying ‘God, open my ears to hear, and cause my mouth and my actions to obey what they hear from You’ ? ♡ When it comes to your prayers; how much of them do you think come from ‘the strange fire of natural desires’? ♡ When was the last time you read the Word and felt the fire of its consuming burning within you? ♡ How often do you ask the Spirit to quicken your mind to see the Word as God speaking directly to you? ♡ Do you see how God uses both our deafness and blindness and our times of openness and joyful learning to display His grace and purify His flock?